Nintendo 3DS PowerPlay Battery Extender from Newbie Gaming. 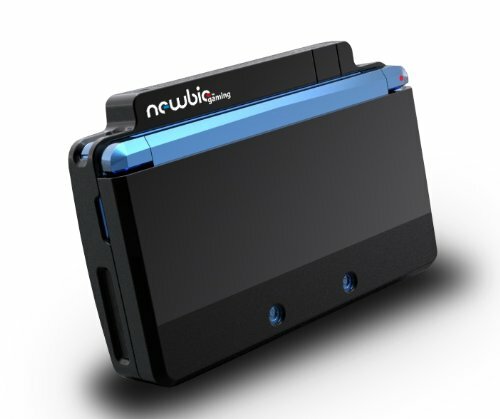 While the Nyko Power Pak + doubles the 3DS’s battery life, this new accessory promises to triple it! The PowerPlay is expensive at $40 (Nyko’s Power Pak + is $20, or $30 with the dock), and you’ll need to use your 3DS adapter to charge it, but it lasts 9 to 15 hours with 3D turned on, and 15 to 24 hours with 3D turned off. Note that the PowerPlay attaches to your 3DS with an ABS plastic shell (rubberized coating), and doesn’t require you to open the back of the system to install another battery like the Nyko Power Pak +. That would be totally amazing if it actually did last 9 to 15 hours. I'll wait for an official review before getting too excited about this though.